Not long ago, a friend of mine, having read my earlier posts on how not to choose a doctor, asked how to go about finding a reputable doctor among all the ones out there. If you’re one of the lucky ones who has insurance coverage and it allows you the freedom to choose your doctor, there are several avenues you can use in the search. These steps apply regardless of whether you have private insurance or are covered by Medicare, Medicaid, your employer or another insurance provider. First, you’ll need to know which doctors are included in your network of coverage. Though this list won’t indicate which doctor is best for your particular situation, it will help you narrow the field. If your insurance company doesn’t automatically give you a list of physicians, the best way to find it is to contact your insurance company and ask for the list of approved providers. You can do this by mail, email, or phone, and most companies also post their lists in a searchable database on their website. If you find a number of physicians in the network your insurance covers, consider yourself fortunate. The increasingly narrow networks preclude your having more choice. If you’re in a rural area with sparse medical coverage, are unable to travel far, or have few choices of doctors who accept your insurance, your search, unfortunately, might end right there. But that doesn’t necessarily mean your forced choice will be a bad one. Because of their dedication and purpose, many excellent physicians provide service in small towns and under-served populations, and many of these small clinics are now connected to larger medical centers. Word of mouth: Despite all our fancy technology, as with any business, word of mouth is still often the best way to find information. Ask around your circle of family, colleagues and friends to see what their experience and recommendations are. As you gather information, take their comments into consideration, with the caveat that their preferences in a doctor might not suit yours. Some like bold, aggressive doctors; others may like reserved, methodical ones. Some just want a doctor to tell them what to do while others prefer a more collaborative approach. Some think the best doctors are only at large medical centers; others have found very skilled providers at smaller, non-academic centers. (Be wary: a big name on the clinic door does not guarantee a good experience for you. As with people in any profession, there is a range of competency among doctors even in the same practice and bad apples can turn up in prestigious places.) The more you ask around, the more you might find certain names come up again and again as either doctors to see or to avoid. Talk to other healthcare professionals: Nurses, especially those who work in hospitals, can be a great source of information. Nurses assigned to specific clinics or doctors may need or want to profess loyalty to their fleet of physicians, which can be an inherent bias, although they might be a good source of information if you’re asking about doctors in a different specialty. Nurses who work in hospitals see the outcome of patients from a number of physicians. They’re the ones who see, day in and day out, who has the skills you need. They’ve seen the doctors at their best and their worst, and they know whether a particular physician’s patients generally do well or not. The category of physicians known as hospitalists – doctors hired by hospitals to attend to patients there — also see the outcome of patients from a variety of doctors and may be willing to give you some guidance. Physician’s assistants (PAs) usually work with or for a particular doctor or group. Like clinic nurses, they may be more objective in making recommendations outside their particular specialty. If you get the chance to speak with any of these professionals, ask them where they would go for their own treatment and which doctors they would choose. Check the doctor’s or clinic’s website: These websites can give you important background information, including the doctor’s training and years of experience, special areas of expertise, and philosophy, along with contact and insurance information. Keep in mind, however, that these websites are designed to make all doctors look good. Professional as they appear, they are actually just advertising. Check the ratings: See what you can find out about the doctor online. The myriad ratings websites like Healthgrades, Vitals and Ratemds can tell you about a particular doctor’s training and certification, specialties and years of experience, along with ratings and comments from patients. Be aware, however, that some of these sites are not up to date and contain errors. If the site doesn’t have a way to screen users, it can also be manipulated by disgruntled patients, and even clinics or hospitals. What you’re looking for among these sites is consistency of information, so don’t rely on just one of them. Also be aware that these sites often suffer from a glaring imbalance: the people making comments on these sites either love or hate a doctor, with not much commentary in between. Also be aware that patients who complain but later change their minds rarely come back to the site to reconcile the difference. In addition, it’s only the patients who have the time and equipment to register their comments who do so. Thus, the comments you see online might not be a fair representation of the doctor’s skills. On the other hand, by looking at the ratings and reading through the comments on a number of these sites, you’ll be able to pick up any recurring concerns or compliments, which might help you make your decision. Consider years of experience: Although more experience – in either years or number of cases per year — is generally better, that’s no guarantee a particular doctor is for you. Doctors with more years of experience have likely developed more wisdom and expertise, but should also be keeping up on the latest research and tools in their specialty. A doctor fresh out of residency may have good training and know all the latest tricks, but may lack judgement and skill. As the American healthcare system has moved more and more to expensive (and perhaps unnecessary) testing and technology, younger physicians have been trained with a different perspective than those in practice a long time. In addition, given the restriction in work hours for residents in recent years, younger physicians may not have as many hours of training and may not be trained as thoroughly in older but still reliable methods. For example, surgeons trained primarily to do laparoscopic surgery may not have equivalent skill doing open procedures when laparoscopic techniques fail. Consider board certification: Most physicians are certified by the board of their particular specialty (for example, the American Board of Family Medicine), but some are not board certified because of circumstances or choice. For example, physicians just out of training usually have to be in practice for a while before they are eligible for full certification. You’ll see them listed as board-eligible, or BE. Although there is some controversy about the value of it, board certification means that a physician has been vetted by a group of experienced physicians in the same specialty who have assessed whether that physician meets the basic competencies of that specialty. Board certification does NOT, however, guarantee excellence. Talk to your primary care doctors if you are looking for referral to a specialist: Ask where she or he would go for treatment or where they would send a family member. Be aware, however, that any physician employed by a particular clinic or hospital group might be restricted in referring patients outside that group. Many physicians have been reprimanded or penalized for sending patients to a competing practice, and many hospitals now make it impossible, through the electronic medical records system, for doctors to refer elsewhere. This is where it’s essential to know your power as a patient. You have the right to ask the doctor whether they’re allowed to refer outside the group. And even if a doctor is prohibited from referring out, you can ask for a referral to a specific doctor of your choice, regardless of whether that doctor is in the referral network of the initial physician. As hospitals and clinics are more and more focused on “patient satisfaction,” it’s important to know what your power as a patient allows you to do in a system that continually restricts what physicians are allowed to do. Some states will send you to their online database to check on a doctor, but that database may tell you only if a case against someone has been decided. It will not tell you if there are any cases pending; that information may not be available unless you call the agency directly. By now you’re probably thinking, geez, this is hard work, and maybe even resent the effort it takes to find someone. Unfortunately, we are in an age of too much information, some of which isn’t trustworthy, and there is too much influence on medical care by business and political forces. These influences mean that you, as the “buyer” of medical care, have to do your research in choosing a physician the same as you would if you were buying a house or car. If you have other ideas or suggestions that can be used to help patients find good doctors, please add them in the comments section here. People choose their doctor for a host of reasons, some logical, some not. In this second of a series of blog posts, I’ll review several more points to consider as you make your choice of care provider. Once again, we’ll look at a few ways NOT to choose a doctor. Don’t take one doctor’s referral to another doctor until you understand how that referral chain works and agree to it. If the doctor you see is still one of the shrinking minority of physicians working independently (that is, not as an employee of a hospital) and needs to refer you to someone else for evaluation, she is still free to send you to the specialist she believes would be best for you to see. If your doctor is employed by a large group or hospital, however, she or he will most likely send you to someone within the same group or hospital, regardless of whether that’s the best person for you to see. Doctors (and PAs and NPs) who are employees of a hospital or clinic, especially those who are now part of accountable care organizations, are under pressure to refer to other doctors in the same group in order to keep the patient’s business (and money) rolling in. So even though another doctor in town might be better for you, you aren’t likely to be sent there, especially if “there” is the competition. From the patient’s perspective, this practice of referrals might not be apparent on the surface. For example, if you go to the emergency department at the non-profit hospital in my town, you will be asked if you’ve ever been a patient at that facility before. Although that sounds like an innocuous question, the underlying motivation for it is to keep your business in house. If you’ve been a patient there before, they consider you one of “their” patients and will call in one of their own employed physicians to see you, even though the doctor currently on call — but not one of their employees — is more available. The hospital is trying to ensure that it gets your business as a patient, and you aren’t seen by someone they consider a rival. The increasing pressure on healthcare facilities from insurance companies and the Affordable Care Act makes this focus on money even greater. Accountable care organizations are given bonuses by the government and insurance companies if they can keep their costs down. The best way for a hospital to accomplish this and still remain profitable is to ensure their income stream by controlling which doctors you are able to see. The well known caveat – “follow the money” – now applies to patient referrals just as it does in other corporate and political networks. This is one of the more disheartening outcomes of the interference in health care by government agencies and powerful insurance companies: more money for the business, less choice for you. Don’t pick a doctor based solely on bedside manner. Once upon a time in the medical world, we chose our doctors based on their skills and knowledge. Now, too often we choose them according to their bedside manner – the term we use to measure how well we like the doctor. In his book Unaccountable: What Hospitals Won’t Tell You and How Transparency Can Revolutionize Health Care, Dr. Marty Makary, a surgeon at Johns Hopkins University deeply involved in improving the quality of medical care, describes the misconceptions many of us have about the value of bedside manner. In the first chapter, Makary describes two types of physicians – Dr. Hodad and the Raptor. “Hodad” stands for “hands of death and destruction,” the phrase used among nurses and other care providers to describe doctors who are dangerous. This is the doctor who has excellent bedside manner but is woefully lacking in judgment and ability. Makary tells the story of a patient who crowed about how kind his doctor was after surgery when the patient’s hospital stay was prolonged because of a series of complications. What that patient didn’t know was that the complications were the direct result of the physician’s lack of judgment and skill. If the physician had sound judgment and better skill, the complications never would have occurred. No amount of kindness or good bedside manner makes up for such a lack and the damage it causes, and kindness and an agreeable personality do not guarantee expert care. The Raptor, on the other hand, is the physician who exercises good judgment and employs exceptional skill. Raptors may not have a good bedside manner, are even blunt or abrupt in communicating, but they have the patient’s best interests (not their own ego) at heart. Raptors do what’s necessary for the patient, regardless of the impression others have of them. These are the physicians you want on your team, even if they’re not the nicest people in the room. In short, when choosing a physician, skip Dr. Hodad and go for the Raptor. And if you want more information about what goes on behind the scenes in your average American hospital, pick up a copy of Dr. Makary’s book. And before this new year began, you were perhaps notified of another round of open enrollment for health insurance plans through either an employer or the Affordable Care Act (a.k.a., Obamacare). If you’re lucky, and the insurance companies haven’t narrowly restricted your choices to their preferred networks, you might be in the enviable position of choosing a doctor. But don’t get your hopes up. What the government and the insurance companies often neglect to tell you in all their promotional efforts is that guaranteed insurance coverage does NOT guarantee you’ll actually be able to see a doctor. And even if you do get to see one, it may not be the one you’re used to seeing or wish to see. Odds are, especially for primary care, but also other specialties like oncology, you’ll be seeing a nurse practitioner or a physician’s assistant in place of an M.D. This is not necessarily a bad thing as there are many well-trained nurses and physician assistants, and you may thank your lucky stars that we have them available because the alternative is no one to care for you at all. If you do get the chance to choose your own doctor, you will want to know that you’re placing your health in good hands. People choose their doctor for a host of reasons, some logical, some not. In this first of a series of blog posts, I’ll review some points to consider as you make your choice of care provider. We’ll start off with a few ways NOT to choose a doctor. 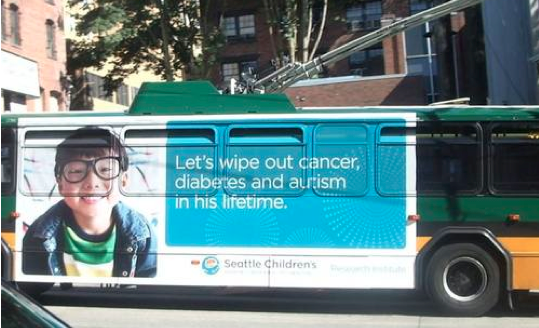 Don’t choose a care provider (or healthcare facility) based on an ad you see on the side of a bus. For that matter, don’t pick a doctor or facility based on any form of advertisement – billboard, radio spot, or slick marketing brochure. The people who produce these ads aren’t doctors. They’re marketers. And the job of a marketer is to sell you something. So that full-color, 8-page booklet just released by a specialty group near you – well, don’t believe what you read. Marketing departments have been known to advertise services and abilities that facilities and their employed doctors don’t actually have. For example, in an effort to impress, the facility may claim that its doctors “have been researching and publishing in their field,” which gives the impression of cutting-edge care. Don’t believe it. The deceptive words here are “have been.” ALL doctors were active in clinical research and publishing at one time – it’s a requirement of their training program. Unless they’re currently employed by a teaching hospital (most of which are attached to a university), the greater chances are that they’re no longer researching or publishing. With so many hours spent in patient care and dealing with the increasing medical bureaucracy, it’s the rare doctor who has time to publish and do cutting-edge research. But it sounds good in a brochure, doesn’t it? Especially if you’re trying to edge out the competition. The same is true of a hospital or other care facility – don’t pick one based on an ad. The current slogan of the bus ad for the large hospital in my town is “pays attention to detail.” But this slick slogan conveniently omits the detail that a patient died last year on one of their services as a result of chronic understaffing, and the hospital was investigated by the Joint Commission, which accredits and certifies healthcare facilities. It seems that staffing might be an essential detail to pay attention to. The point is clear: don’t let the marketers pick your doctor. Don’t pick a doctor based on the ratings of patients on any of the myriad websites such as Healthgrades. These sites are unreliable, as they represent only the voices of people who take time to go online. Thus, the comments posted there do not represent the overall skill and abilities of any particular doctor. For example, Healthgrades allows patients to rate a doctor with a number of stars, and though the site does make users verify who they are when they post (via email confirmation), it does not allow patients to enter comments, which are critically important in seeing how a patient interprets the interaction with the doctor. And still, on a 5-star scale, Healthgrades often lists a rating of 4 stars as “below the national average,” with no explanation of how that national average was determined. It’s hard to believe that a rating of 4 out of 5 stars indicates below average care. Other sites like Vitals and RateMDs.com often have erroneous or outdated information about doctors, and allow all users to post as long as they claim to be a patient. But they don’t verify whether a user has actually been a patient of a particular doctor, so anyone can make comments about any doctor they like. Most of the comments at sites such as these show that the patients either love or hate the doctor, with no in between, but posters who had a change of heart about the doctor’s care later on seldom come back to the site to change their opinion. So the patient who writes off one doctor for not offering a currently trendy treatment, for example, isn’t likely to come back many years later to amend the comments when the treatment failed. In addition, facilities seeking to promote their doctors against the competition often send patients to these sites in hopes of increasing their ratings. (Remember, it’s all about the image!) And occasionally, a doctor who is under investigation for suspect practices is somehow highly rated by patients. Check out that doctor’s rating on Vitals.com: he earns 3.5 out of 4 stars. For a keener analysis of the problems with patient satisfaction surveys and online rating systems for doctors (and facilities), go here. The online ratings for any particular doctor might just say more about the poster than they do about the doctor, and no one’s post will reflect your own experience with that doctor. As the saying goes, “your mileage may vary.” Especially on a bus. So here we are, Doctor, looking at one another across the cold space of the exam room. I sit perched in this flimsy gown, socks warming my feet, and we’re about to begin that invisible patient-doctor dance that we both know so well. I’m here for the appointment I scheduled as much as two or four weeks ago, when you were recommended by another doctor (or maybe it was a friend or family member). The problem I’m having isn’t a big one, in the great scheme of things, but it’s serious enough that I need a doctor’s attention. And my sitting here provokes some anxiety, a definite fear of the unknown. It’s rather like taking your car to the mechanic for that little rattle in the front end and hoping he doesn’t say you need a whole new engine. Your staff was actually warm and friendly, not like some I’ve encountered who seem to think they’re protecting a castle and I’m the peasant knocking at the gate. I didn’t have to stay very long in the waiting room, not even long enough to flip through the new issue of Birds and Blooms I saw on the table. The ease of this whole process means I’ll be much more cooperative now in the exam room. You know how surly we patients can become when we have to wait a long time in a hostile environment. You know we take that surliness out on you. I could have come sooner if I were willing to see your assistant, but most of us patients aren’t yet accustomed to seeing someone for medical care who doesn’t have an M.D. behind the name. PA, ARNP – all those letters. We don’t know what they mean, and we don’t really want to figure it out. Because what we truly want is your attention. So here we are, down to the nitty gritty, me in my gown, you in your white coat, and I should confess that I expect certain things. First, I want your attention. I need to be acknowledged and welcomed, even though we both know I’d rather not be here. A handshake is good, but mostly, I want to be able to look you in the eye. Speak to me (and whomever I’ve brought with me) directly but kindly, and listen to the story I have to tell, in whatever way I can manage to tell it. Because first of all, I’m a person, not a case. I prefer to speak with you directly during this appointment, but I know you’re busy and under pressure to see as many patients as you can today. To ease your burden, I don’t mind communicating with your assistants later, as long as all of you give me clear and consistent information with a minimum of bureaucracy. I’d also like to know that I can speak with you directly by phone later if I need more information. Of course, I want clear information about the problem that brings me here – the diagnosis, treatment, and follow-up. Sometimes it helps to compare my situation to something outside the medical world to help me understand the problem. (This is part of what they call bedside manner.) But if you use an analogy to explain a situation, make it simple and relevant. If I’ve never been a pilot, I won’t understand how the procedure I need is more like flying a 747 than a Piper Cub. Above all, I am expecting expert care, whether it’s a simple, one-time problem like antibiotics for an infection, or continuing treatment of a chronic illness. If you’re just out of training, I expect that you’ve paid attention to those with more experience. Maybe they’ve been out of school for awhile, maybe you think they’re “old school,” but if they’re still in practice, the odds are great that they’ve learned a lot from experience that you don’t yet have. On the other hand, if you’re many years into your practice, I need to know you’ve kept up with the new approaches and techniques that are actually effective. By expert care, I don’t mean the most expensive or the latest trend. I just want what will help, and I want you there with me until this problem is resolved. So if that means checking up on me after your treatment, I expect you to do that. After my father had brain surgery a couple years ago, his surgeon never came to his hospital room to see him and had his PA do the follow-up office visit. I’ll tell you straight – that was unforgivable. If a doctor is cutting my head open, I darn well better see that doctor in my hospital room afterward! Expert care also comes with integrity, a word not often heard these days. (None of those godawful rating websites for doctors even mentions this word.) Integrity hinges on maturity, honesty, and humility. I need to trust that you know what your skills are — and what they aren’t — and that you know your limits and abide by them. So much of medicine and the human body is still a mystery. Despite all you do know, be willing to admit when you don’t have an answer, or when I’d be better off going to see someone else, even if that someone is outside the clinic you work for. I also need to know that you haven’t been bought – by drug companies, hospital administrators, medical device makers, or anyone else who lures you with the promise of more dollars. These days, everyone talks about health care teams, but the phrase “team player” can be just another term for cronyism. Make sure the team you’re on works for my best interest, not their own egos and incomes. Don’t try to imitate Dr. Oz and be everything to everyone. (You see where that got him!) You get to be known as the best doctor in town not through advertising and marketing, but by doing, day in and day out, excellent work on behalf of your patients. The billboards and bus signs look pretty slick, but word of mouth still reigns. If I know you have integrity, I can trust you, let down my defenses, and that alone will help me feel better. Compassion is another word tossed around too lightly by those who don’t understand its true meaning. Compassion is never about you. It’s about whether you’re able to empathize with my situation and help me solve my medical problem. True compassion also demands patience. Listen to my story even though I may not be able to say what I mean or know what questions to ask. Work with me, telling me what to do when necessary, and helping me do what I know I should. Bear with me, even though I may throw up a hundred defenses, and even lie to you about my habits, to protect my ego. And then do your best to offer comfort and reassurance. Don’t give me false hope, but don’t scare me either. Coming to see you means there might be something seriously wrong, and the fear attached to that possibility has increased as I’ve gotten older. I need your reassurance that, whatever comes, you’ll do what you can to help and support. Unlike some patients, who see you as just a line worker in their personal assembly plant, ultimately what I’m looking for is a relationship with you. A good bedside manner helps, but not to the exclusion of good care and expert skill. Success — for both of us — depends on all these things. By now you’re likely thinking, geez, this patient expects me to be God, to interpret and meet every need and expectation. And you’re right. We patients expect you to be God, to save us, to never make mistakes, to be always available and ever in control. But then we complain if you act like one. What can I say? Such are the flaws of the human. Is it fair? Nope. Is it true? Very likely. As I come into your office today, I feel incredibly vulnerable, maybe even frightened. I don’t know if my problem is something minor or something big and scary, and I’m depending on you to help me manage not just the medical problem I have but the anxiety that goes with it. And that’s all I really want – to feel better, physically, mentally, and emotionally. To feel safe. This week, we celebrated an important day. No, not April Fool’s Day. 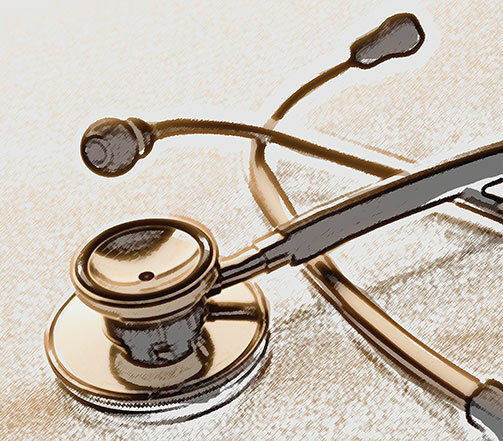 March 30 — National Doctor’s Day, a day designated by the senior President Bush, in 1991, to honor the contributions of physicians to the general good of American society. This day has been celebrated at different times of the year around the world since as long ago as 1955. Given what we *think* we know about doctors (they’re all rich and arrogant), we might ask why they deserve their own special day, especially when many of us don’t get a day set aside to celebrate what we do. You’re on call for the emergency department and have been hanging fire all day, expecting the phone to ring or the pager to go off. (You just can’t relax when you know disaster can strike at any moment.) And eventually it does — as usual just as you’re sitting down to dinner with the family you haven’t seen for the past 48 hours. Back you get into the car – at least this trip is still during daylight, not at 2 a.m. as sometimes happens – to find waiting for you a patient whose skull was used for batting practice by his drug dealer. It’s now up to you to pick the bone fragments out of the patient’s brain and repair what damage you can. You’ll need as many as 16 years of training beyond high school (4 years of undergraduate work, 4 years of medical school, 1 or 2 years of fellowship or internship, and up to 6 years in a residency program). Most people manage to begin a career by the age of 25 or so. You will be about 10 years behind the curve of earning power by the time you finish training, and will have an average school debt ranging from $75,000 to $250,000. Once you’ve finished training and passed all parts of the rigorous exams for board certification, you’ll spend up to 60 hours a week working (or more if you include taking call on nights, weekends, and holidays). And some of that time might be spent on the road, as a “circuit rider” traveling to several outlying clinics, or driving between your office and a hospital. Increasingly, more and more of your time will be spent learning and keeping up-to-date not just with new information in your area of practice (through your own interest and mandatory continuing medical education), but also with the codes used by billing departments when figuring invoices for patients you treat. This year, it’s the update of the 68,000 codes incorporated into the ICD-10, the code system used worldwide to designate a patient’s diagnosis. And every year, it’s the updated CPT codes used to describe procedures for billing. And now, of course, there’s the mandatory move toward electronic medical records. If you don’t get on board with this trend by January of 2015, you won’t get fully reimbursed for your services. But the various systems used by hospitals and clinics aren’t always compatible, which means that you may have to learn more than one system if you work in more than one place. And using them means you’ll likely spend more time looking at computer screens and less time at your patients’ faces. Beyond all these requirements, you also need to understand the rules of the Health Information Portability and Accountability Act (HIPAA) and the continuing changes and updates to the law. Although the HIPAA legislation was originally intended to allow patients to carry their insurance with them if they move, its implementation has been more about privacy, and that legislation has increased the paperwork your office staff has to manage to comply with the government. So a question you’ll think about often is — how long are you willing to work at a job that pays you less than it actually costs you to do the work? With these numbers, you might decide to join the ranks of other doctors who have stopped taking patients covered by Medicare and Medicaid. In other words, if you’re going to practice medicine, you should expect to get sued. And even if you win the case, there is still the cost of defending yourself and preserving your reputation. In your daily rounds, you’ll also have to be aware of boundaries and turf wars of various sorts. These occur between different specialties (general surgeons and breast surgeons, for example, for patients with breast cancer) and as restrictions set up by clinics or hospitals that control which doctors are allowed to see which patients and at what site. For example, more and more hospitals across the country have employed hospitalists – doctors who specialize in treating patients only while they’re in the hospital. So, although you may be the one to send patients to the hospital, you might not be the one to continue seeing them once they’re there. Keeping up with changes in insurance coverage and regulations, and devising new ways to work with (or around) those regulations, will require a lot of paperwork on your part. And all of these gyrations will only increase with the Affordable Care Act now in place. As the influence of business and insurance companies grows, you will need to increase your productivity, seeing more and more patients, which means spending less and less time — maybe only 10 minutes — with each one, regardless of their need. And if you’re a surgeon who works for a hospital, you will be discouraged from seeing the patients you operate on while they recuperate in the hospital. The hospital administrators want to keep you in the operating room as much as possible, because that’s what generates dollars for them. Amid all this activity, you’ll also be subjected to unfair blame for errors and mistakes that you are not responsible for – whether it’s an appointment snafu by one of your front desk clerks, or a horrible outcome for a patient you only assisted with. There are many players in the disturbing number of medical errors that occur each year in the US – physicians, yes, but also nurses, physician assistants, technicians, pharmacists, and hospital administrators, too. But people like to see bad news about a doctor in headlines, even if it’s for something totally unrelated to medicine. And somehow, in all of this, you still will want to serve your patients and do what’s right for them. Every day, you will try your best to be like Dr. C.
OK, OK, I hear the complaints already. Someone reading my previous post on this site commented that doctors aren’t always the good guys in the white coats, and that plenty of them are in it for the money or other material rewards. Are there greedy or incompetent doctors out there? Absolutely. I’ve seen a few, and maybe you have too. Just as there are corrupt or incompetent accountants, executives, auto mechanics, and even hair dressers, there are some doctors who are out to make money or see their name in lights. No single profession is free of greed or ego. And yes, people in other professions face equal, maybe greater, challenges (imagine the police officer summoned to a domestic violence dispute) and lots of people carry pagers now in our 24/7 culture. But we hold doctors to a higher standard of behavior and competence, and we do so because they hold our lives in their hands, and we expect them to save us, make us feel safe. A student can likely weather a bad teacher in second grade or a college statistics course. But one serious error by a doctor can kill you. And yet . . . and yet. I believe the vast majority of people who go to medical school to become physicians have their heads and hearts in the right place, and most of them do a pretty good job, given their shrinking influence on the current state of health care in this country. Certainly, they’ve earned the right to a special day. This is the story of Dr. C, the general practitioner that my family and I would go to see when we were sick. Dr. C’s office was in a small red brick building across town by the railroad tracks. In my mind’s eye, I can still see the framed photo on the wall in the waiting room — a picture of a nurse in white uniform and cap, her index finger poised in front of her pursed lips to remind us to be quiet while we waited. I don’t know how old the magazines in his waiting room were because I never had to wait long enough to find out. Dr. C’s wife, Eda, a registered nurse, assisted him in the practice. She was the behind-the-scenes woman who, in that generation (and maybe this one too), made it all work – practice, patients, running the household, raising the children. Dr. C and his family lived next door to us and his children were our playmates. We liked playing dress-up games in their basement, and often were entertained when Dr. C would play his accordion. My parents and us siblings would go to Dr. C’s office for routine check-ups and vaccines. I also remember visits for a variety of childhood problems – mumps, recurring nosebleeds, a sprained elbow, and a strange outbreak of allergic reactions when I was a teenager. This reaction would appear as random swelling of various areas on my body. One afternoon, I woke up after a nap with my face swollen up and went to find my mom, who was talking on the phone to a friend. When mom caught sight of me, her eyes opened wide, she got off the phone immediately, and together we ran up the hill to Dr. C’s house. After an examination, Dr. C thought it best to admit me to the local hospital for observation, and he came in each of the days I was there to check on me. After my release, he took me through the rounds of allergy shots, trying to uncover the culprit causing the allergic reactions. We never did discover it, however, and the outbreaks disappeared as mysteriously as they appeared. Now, this series of events would involve at least 3 physicians and their support staff. If one of my children were to have this same mysterious problem, the primary care doctor (or perhaps the physician in the emergency department, if that’s where we went) who ordered my child’s admission to the hospital would likely be required to hand off care to one hospitalist (or more depending on how many shift changes took place), and after release, we would likely be sent to an allergist. All of this activity would require phone calls to several offices and perhaps even clearance through the insurance company – long, drawn-out chains of calls managed by layers of front-office staff, appointments, and most of all, paperwork. Even in a small town, it is no longer possible to just walk up the hill to find the person you need. If we are to make any progress in truly reforming healthcare, we must understand that this is not how most physicians prefer to work, and not how patients want to be treated. Most doctors still want to be able to spend as much time with a patient as is necessary to solve the patient’s problem. This new scenario is what managed care, driven by business people focused on numbers – whether at an HMO (or its reincarnation, the “medical home”), an insurance company, or the administrative offices of a hospital or government agency — has done to the American healthcare system. Dr. C presents the image of the personal family doctor that we romanticize, and that we all wish still existed, a physician with whom we can have a direct, unimpeded connection. But this connection has been broken down in the current world of corporate medicine. (Make no mistake, the ACA, a.k.a., “Obamacare” is NOT socialized medicine, but corporatized medicine.) The entities driving this machine, as we can see from the recent cancellation-of-policies debacle, are still the insurance companies, in conjunction with other corporate overlords. In reaction to this interference, some primary care physicians are now setting up “concierge” practices, shifting the model back to the old style of practice in which they make their services available directly to their patients for direct payment. And who can blame them? For it is the primary care physicians who are on the front lines of medicine, the very ones who will experience the greatest impact from the ACA. Corporate medicine is not the model Dr. C practiced or advocated. He devoted his life to justice in medicine — taking care of each patient, regardless of status, in the way that was of greatest benefit to the patient, not to the business. He was active in promoting the rights of doctors to treat their patients as they believed necessary, but in the few years before his death, Dr. C had to stop listening to reports about the increasing interference of government and corporations in American healthcare; doing so broke his heart. Because so much of the control of medical care has been removed from the doctor’s influence, it is now especially important for us patients to recognize and use the power we have to ensure our own health care. I write this blog to help all of us, patients and care providers, understand the influences at work in the current American healthcare system. The more we patients know, the better we can ensure our own health. The billing conundrum: What does medical care really cost you? The ongoing shortage of physicians – will you ever see a doctor? Does your physician need to be Board Certified? Medical care in countries with socialized medicine: Is it better, worse, or just different?